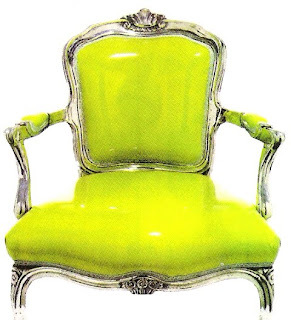 One of my very favorite design styles is dressed-down elegance. I love dressy, glamourous furniture and decorative objects, but these things can make a room take itself too seriously. 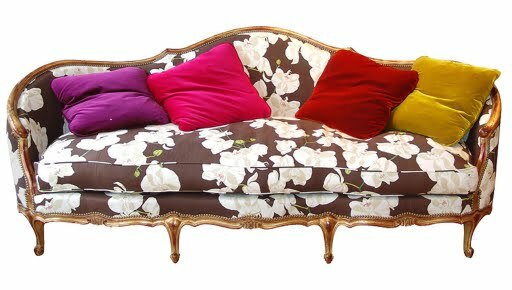 The best way to have your cake and eat it too is to take a formal piece of furniture and dress it down with a more casual or even funky fabric or paint color. A wonderful canape from Cote France. Not your grandmother's brocade here. 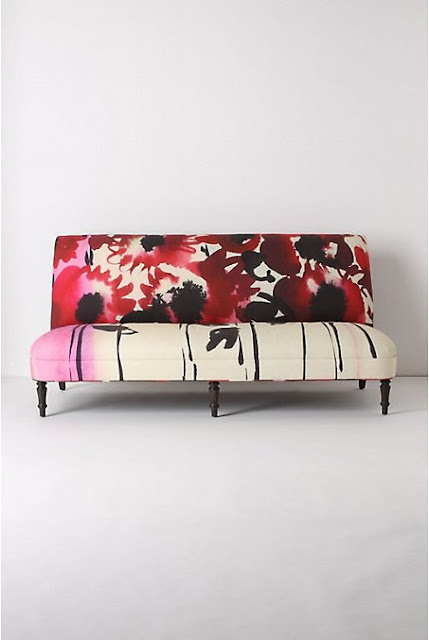 A large-scale modern floral brings a timeless piece into now. The Francine Sofa from Anthropologie. 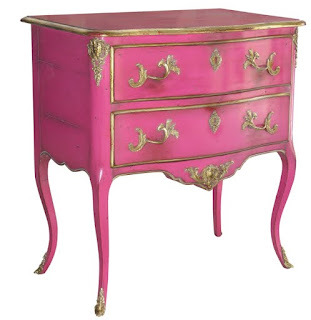 The Hollandaise Commode from Cote France. Classic with a punch of turquoise. I love this so much. Reverent of the past and so irreverent at the same time. 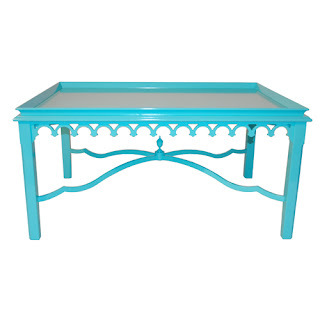 Formal tea table from the oomph line. 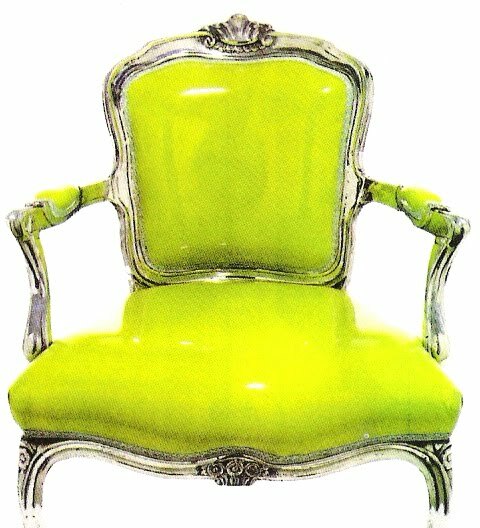 French fauteil in chartreuse patent leather. 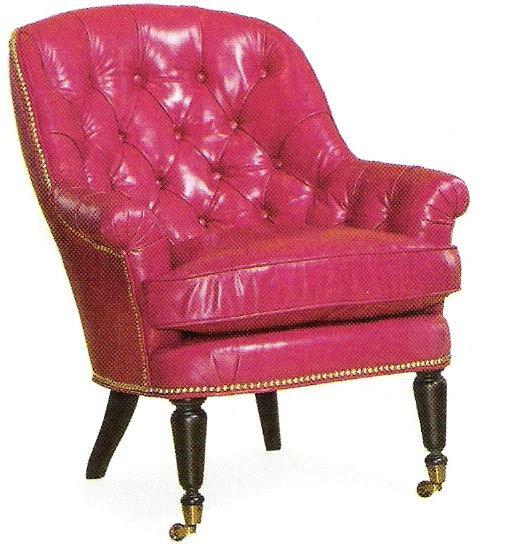 Traditional tufted chair in pink leather from E.J. Victor. Tradition with a twist is fresh and exciting. Oh my, loving these! Yes, fun is the word, don't know which is my fave! Yes it is great when classical pieces take on a bit of a rock'n'roll flair. 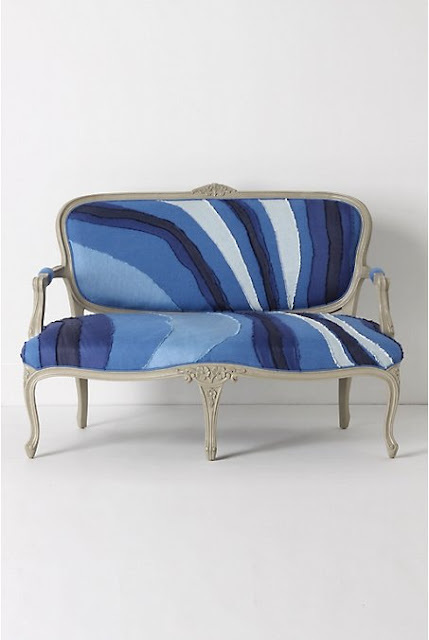 I haven't been a big fan of Anthropologie's furniture always, but I adore the look this season - pucci like prints on French furniture! It's awesome! such fun colors! 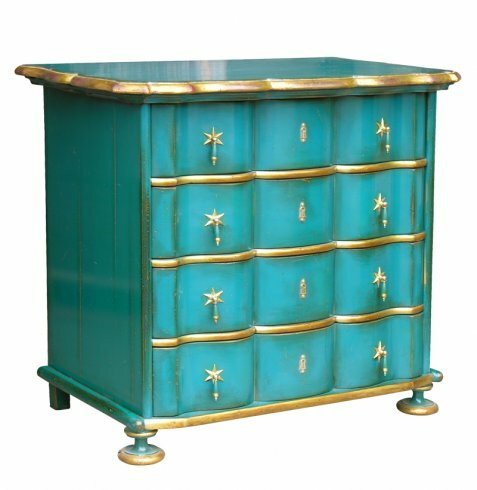 Love those with "traditional" looking pieces. fun contrast.